It has been almost three months since the Right to Rent scheme came into force in England. 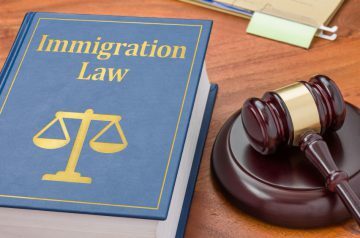 The obligation for residential landlords to check the immigration status of all prospective adult tenants was introduced to stop illegal immigrants living in the private rental sector. At present, the scheme only applies to private landlords and letting agents in England, but it is expected that the obligation will be rolled out to the rest of the UK. Two peers have challenged the Government over the plans. It is not just landlords who are helping to tackle the issue. Many bodies, from the DVLA to the NHS, are ensuring that those here illegally do not access our services. The new requirement for landlords and letting agents to check the immigration status of new tenants before letting to them means that illegal migrants cannot rent private homes. If you are a landlord using a letting agent to manage your property, you must transfer liability to the agent in writing, meaning that the agent is responsible for the checks and is therefore liable for any penalties. 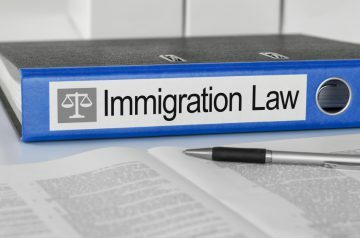 You must check the immigration status of all adults living in the property, regardless of whether they are named on the tenancy agreement and regardless of nationality. If an adult is living in your property as their only or main home, their right to rent must be checked. 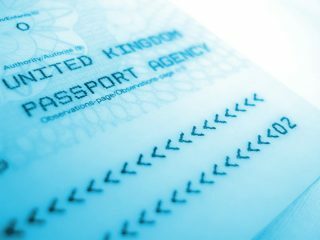 The scheme only applies to new tenancies – if you already had tenants in your property before 1st February (when the scheme was introduced in England), you don’t need to check your tenants’ immigration status. Additionally, if you renew a tenancy that started before this date, you don’t need to conduct the checks. You may not always know who is living in your property, but you should make reasonable enquiries about who is living there. There are indeed exemptions to the rules. You do not need to check the immigration status of those under the age of 18. However, if you are unsure of someone’s age, you should confirm that they are a child. There are many property types that do not require the checks, including: Holiday homes, accommodation arranged by a local authority, care homes, hospitals, hospices, mobile homes, tied accommodation and student halls of residence. If you own a property that is rented out to students and is not a halls of residence, you are liable for making the checks. However, you will be exempt from conducting the checks if the university nominates the student(s) to live in a particular property. How do I conduct the checks? Obtain original documents – You must obtain an original document from each prospective adult tenant. Passports are not the only documents that pass the checks; there are many combinations of documents that prove someone’s right to rent. Landlords are not expected to be experts at spotting forgeries. If there is no time limit on the person staying in the UK, you can conduct the check at any point before the tenancy starts. Check the documents – It is not your responsibility to spot forged documents, but you must check that the document proves an individual’s right to rent with the person in front of you. Make a copy – You must then make a copy of the original document. This can be photocopied or photographed with a phone or camera. You must also make a note of the date that the check was completed. Then you should put the copy somewhere safe, and keep it for the length of the tenancy and for a year after. In many cases, this is all you’ll have to do, as most tenants will have the right to stay in the UK indefinitely. What do I do if a tenant’s visa will expire? Some tenants may be living here short-term, especially overseas students. 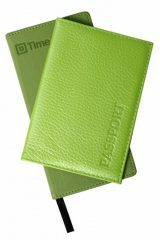 If you check a visa and it has an expiration date, you must make a note to conduct further checks in the future. These additional checks should be made 12 months from the first check, or just before the visa expires – whichever is longer. The minimum time between checks would therefore be 12 months. If the tenant fails your further check, they don’t have the right to rent anymore and you must make a report to the Home Office at www.gov.uk/righttorentchecks. You will be given a reference number, which is evidence that you have fulfilled your responsibility. You do not need to report a document that you think is fake, although anyone can report suspected immigration abuse at www.gov.uk/report-immigration-crime. In some cases, a tenant will have the right to rent, but cannot prove it because they have lost their document or sent them in to the Home Office because of an outstanding application. In these instances, you can use the landlords checking service. The Home Office will check over the information you have and get back to you within two working days. Additionally, certain groups of people have the permission to rent, which means that they are allowed to rent in the UK, even if they haven’t got the right to live here. What happens if I don’t conduct the checks? At present, landlords and agents that do not fulfil their Right to Rent duty are liable for a civil penalty. You will first be served a referral notice, and then be given the opportunity to send in any information that proves you conducted the check. If you fail, you will be issued with a civil penalty notice. There is also an objection and appeal process. Immigration Enforcement teams work on an intelligence-led approach, meaning that they don’t conduct spot checks. They work with services such as local authorities and HMRC to determine who is living here illegally. At present, you can’t evict someone because you think they are here illegally. However, the Immigration Bill, currently going through Parliament, may give landlords the duty to evict. We will continue to provide landlords and letting agents with updates and information relating to your responsibilities and legal obligations. Radical Action Needed to Protect Tenants from Rogue Landlords, Says RLA Landlords to Blame for Decline in DIY Among Under-30s?